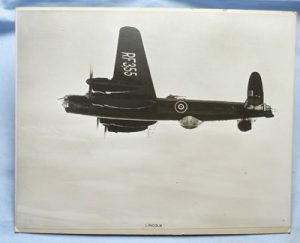 Original and scarce large black and white factory issued photograph of an Avro Lincoln bomber. With official stamps to the back. Dimensions are 20 inches x 16 inches. Good condition.